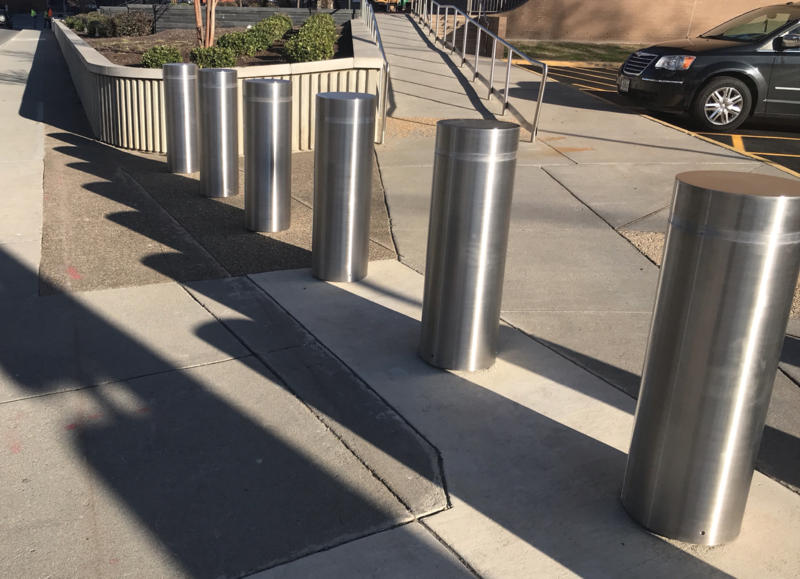 Most stainless steel bollards are actually stainless steel covers that go over regular steel bollards. The strength of a bollard is mainly a function of its mass: diameter, wall thickness and how deep the bollard is buried. 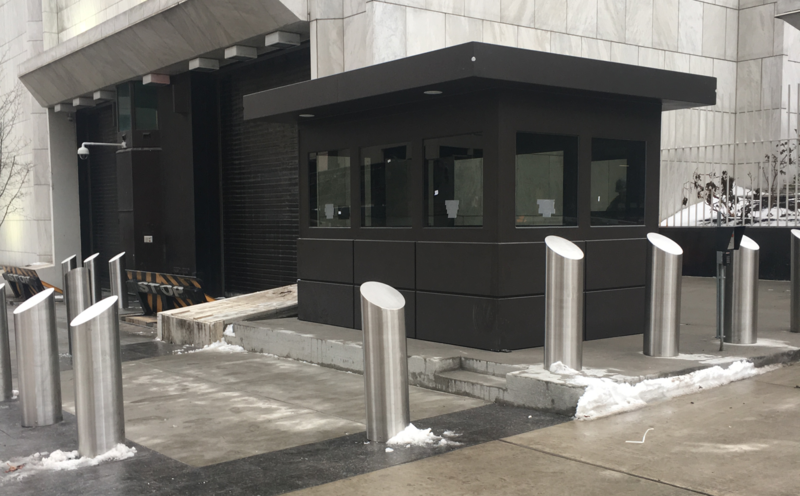 So in nearly all cases, bollards are made of regular (or galvanized) steel, with stainless steel covers. Click this if you are looking for Stainless Steel bollards. For covers, continue here. The 3 above are short samples of the 3 types of covers we carry. These show 8" nominal diameter in flat, dome and slant top, #4 brushed finish, which attach by 3 set screws near the bottom. If you would like a quick quote, please click here. We normally have the quote back in 4 business hours. 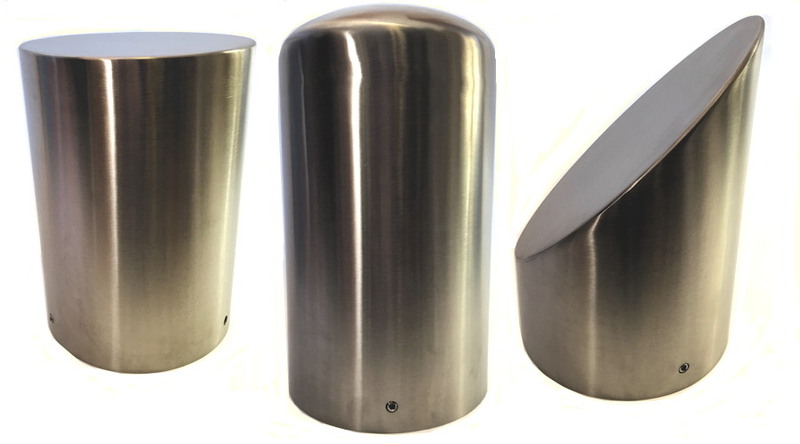 Most stainless steel bollard covers are made of 304 stainless steel, primarily because it is less expensive. However, if you live near saltwater or where salt is used in the winter, we strongly recommend 316 stainless steel. It is made with molybdenum, which changes it to Marine Grade Stainless. It resists corrosion much better than 304. 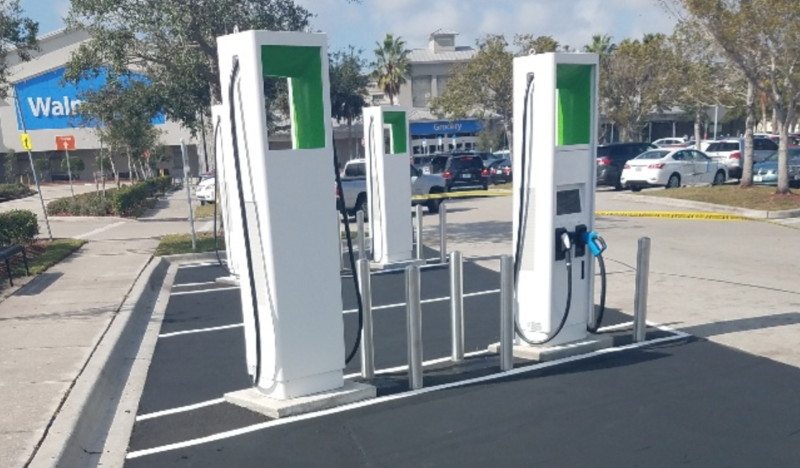 Most bollards being covered are made of steel pipe in nominal ANSI sizes of 4", 6", 8" or 10" which we cover with the next even size up. So a 4" is covered by a 6" for example. This picture shows the sizes of 6", 8", 10" and 12" we normally use. If you need something different, we can make them in other sizes. 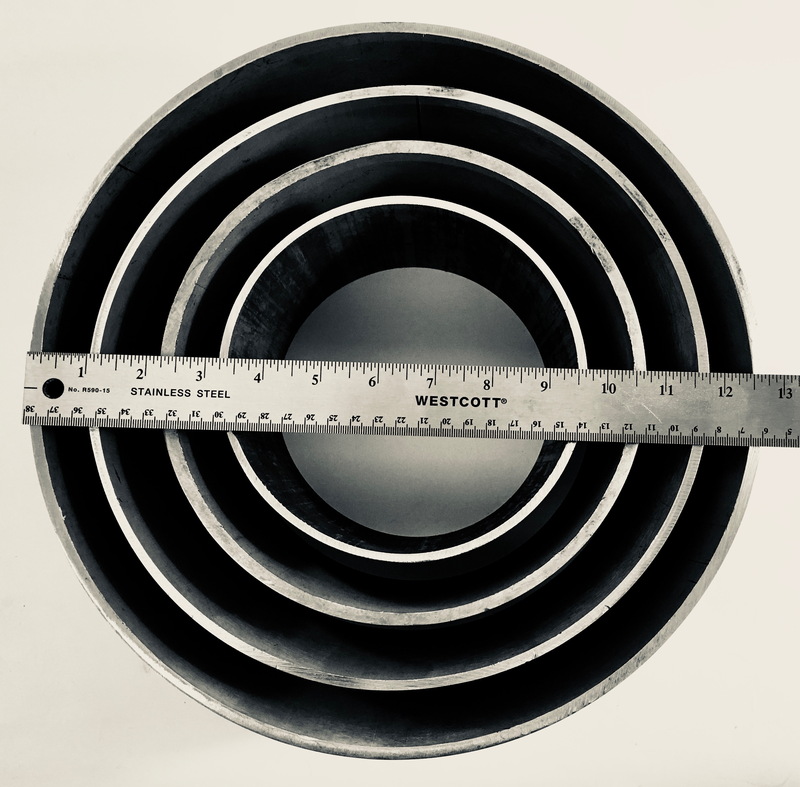 Normally our stainless steel covers are made of Schedule 10 steel. The specs are shown in this chart. 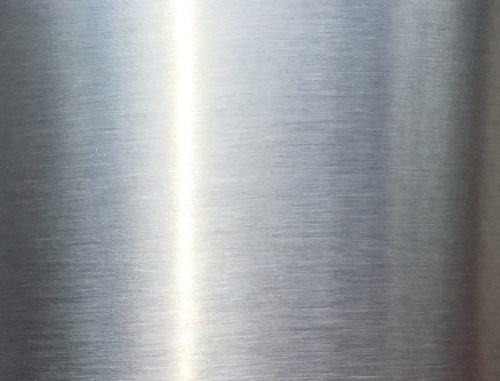 The finish on stainless steel bollards is almost always a #4 brush finish. After the bollard cover is made, it is polished. A brush finish can be made fairly quickly, while a mirrored finish takes much longer. Consequently, it costs much more. Brushed also looks better longer. We recommend the #4 brush finish as shown here. To install, you slide the bollard cover over a more substantial steel bollard. Our covers are attached to the bollard by 3 set screws at the bottom. The set screws are about 1" long if you cover a regular steel pipe with the next even size up.